•	Has 15 functions that match scientifically(energy mode), at random selection. •	The massager has 4 outputs, that is for health management it can be enjoyed by different parts or more people at one time. •	99 levels for energy adjusting. 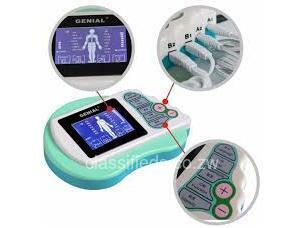 •	The body massager has timing and fixed temperature setting, making the great effect of health management. • AC 100-240V power supply.